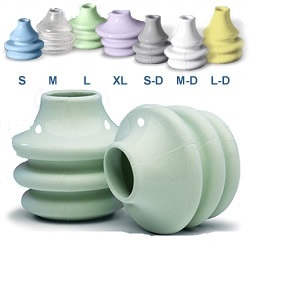 The Nasal Pillows are available in two styles, standard and dilator. There are seven sizes to choose from. Patients can use the pillows in the Adams Circuit System or the Breeze Nasal System. Nasal Pillows Sets for the Breeze SleepGear and ADAM Circuit Systems are available in seven sizes. 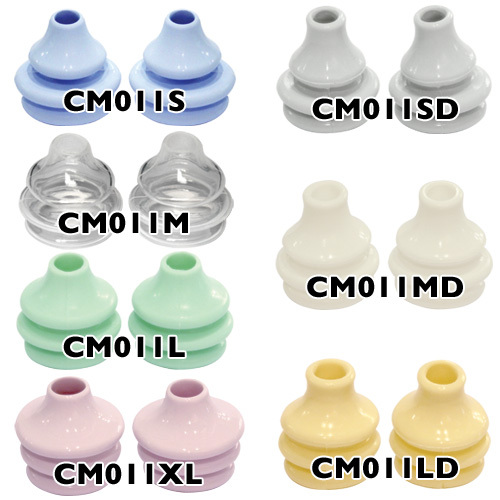 Each size will fit any Breeze Nasal Pillow or ADAM Circuit mask so you should choose the size that works best for you. There are also three sizes of DILATOR pillows with longer stems to reach further into the nares of the nostril than Standard pillows. This can improve seal for some people however for others the extra length causes discomfort.